Rants, raves, recommendations, and love letters from our readers. 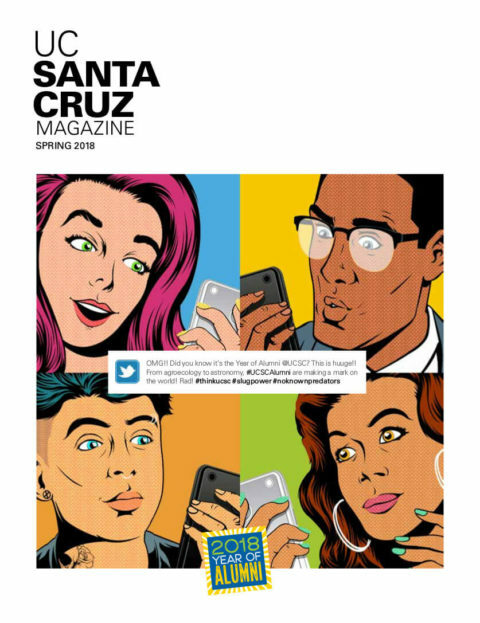 The inside back cover of the spring 2018 issue describes the UCSC Retirees Association Bruce Lane Memorial Scholarship Fund as being “created in the memory of the first campus architect.” Although Bruce Lane was an architect, he was not the first campus architect, and he did not hold that title. The first campus architect was Jack Wagstaff, who also holds the distinction of being UC Santa Cruz’s very first employee, preceding even founding chancellor Dean McHenry. Bruce Lane was an architect who worked first in the Office of Physical Planning and Construction and then in capital planning, where he served as director of capital planning until his retirement. I worked closely with Bruce during my time at UC Santa Cruz, first as staff architect and then as campus architect. He was devoted to the campus and well deserves being remembered in this way; I remember him fondly. In this era of federal efforts to eliminate regulations protecting human health and the environment, we should be aware and vigilant about the risks of products and materials across their entire life cycle. P.S. Some of us aren’t as big fans of Chancellor Sinsheimer as the two letter writers in the spring issue, both of whom were in executive roles in the administration. 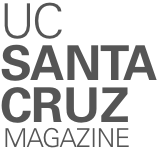 Some of us believe that UC Santa Cruz was always a “serious” university even as it took a different path. I enjoyed the “Comic relief” article. I particularly appreciated Jim Gunderson remembering the 1970s Graphic Stories Guild. The 8/9 annual publications are exhaustively documented in the 1982 Official Underground and Newave Comix Price Guide by Jay Kennedy. I ran that guild for two years with Charlie Boatner and Angela Bocage. Jerome Schiller ran it for its last two years. Charlie Boatner (College V/ Porter ’77, individual major, comics writing) moved to New York City after graduation and sold stories to DC, Marvel, JC, Eclipse, and Vertigo. Piranha Press/DC published his graphic novel. He’s currently drawing the web strip www.BureauofBeasties.com. Angela Bocage (Gilden) (Porter ’84, art) published her first comics story, “The Worm,” in the Graphic Stories Guild, and created the first comics anthology from a major publisher for diverse sexual identities. She is an immigration attorney in Boston and has taken her art and activism all over the country. Jerome Schiller (Porter ’80, art) has worked on Amnesty International’s marketing and on ads for a couple of the Star Wars movies. This is the 40th anniversary of my senior thesis, “Understanding Comics.” After 53 years of comics reading, creation, and adventures with the ever-evolving industry, I am still fascinated with the medium and field.